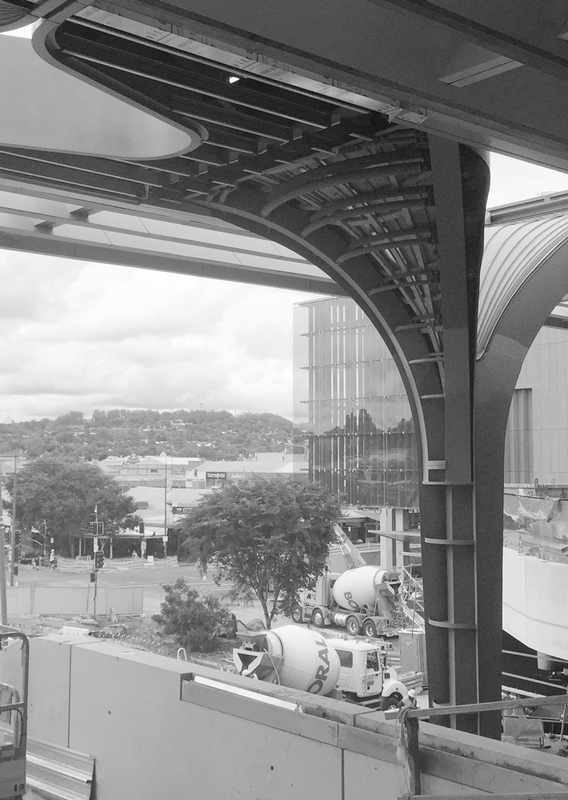 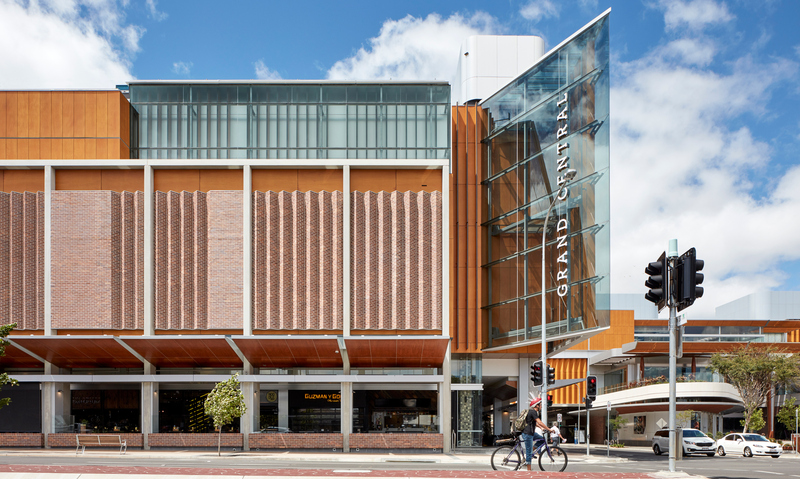 Grand Central in Toowoomba is embedded in the urban fabric of Toowoomba and creates a new relationship with the region’s CBD and wider community providing valued retail diversity and community space and interaction. 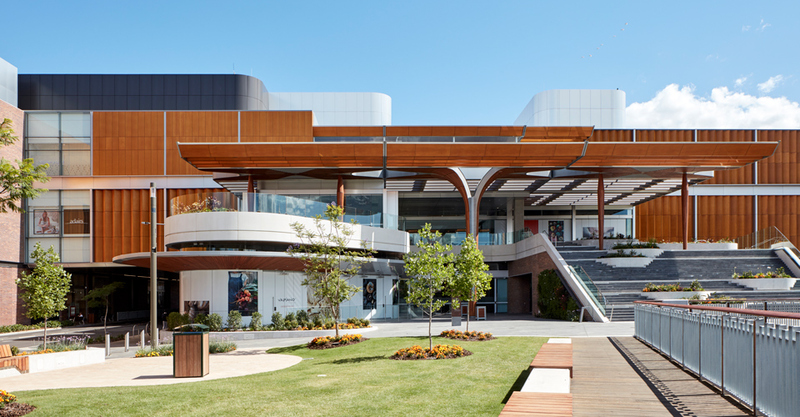 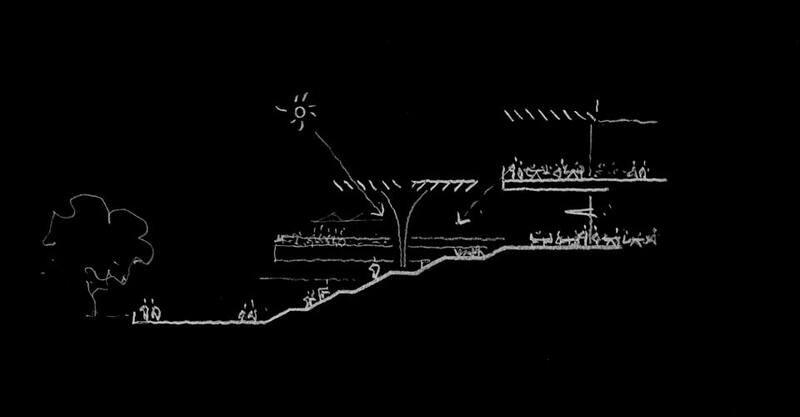 The Grand Central redevelopment bridges a lightly used rail corridor and the western armature of the city creek system, Gowrie Creek, to maximise the public benefit. 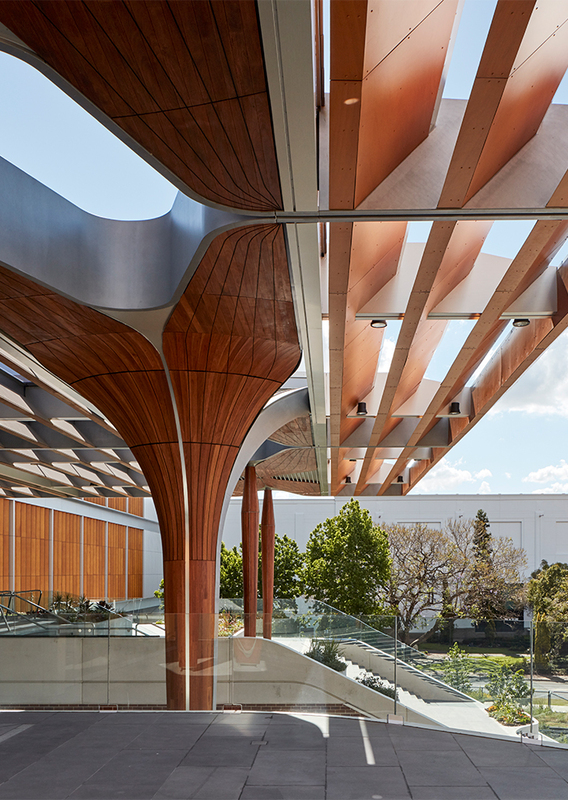 A new plaza is folded up over the creek to connect to the upper level bridge retail and create space for informal seating and performances. 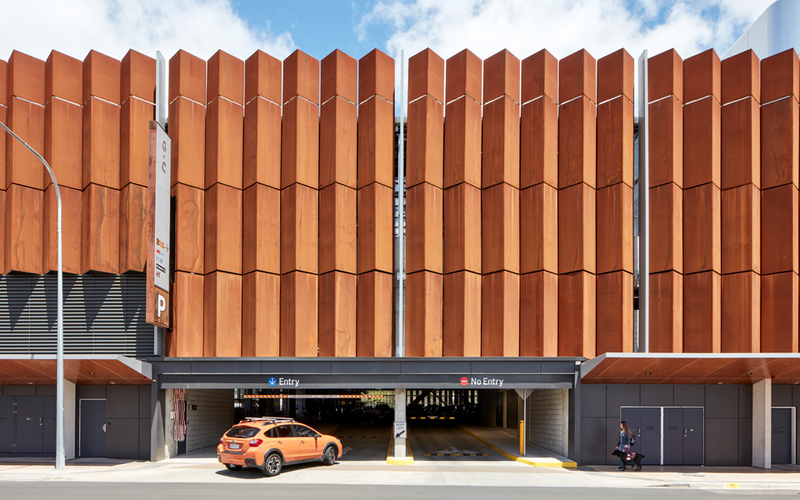 The activated frontages of Margaret Street and Victoria Street, the unique Duggan Lane off Duggan Street, and the restaurant precinct in Central Square, expand the daytime and evening dining options available to the community and integrate the new centre with the streets and lanes of central Toowoomba. 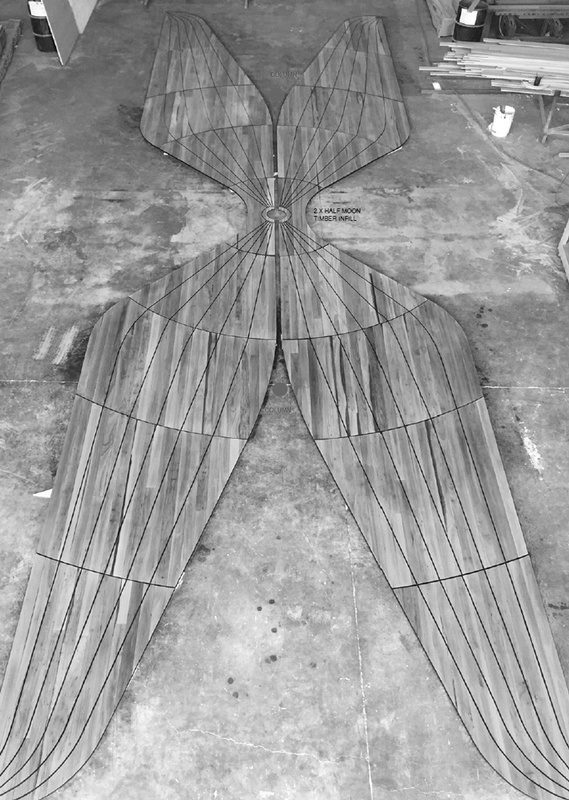 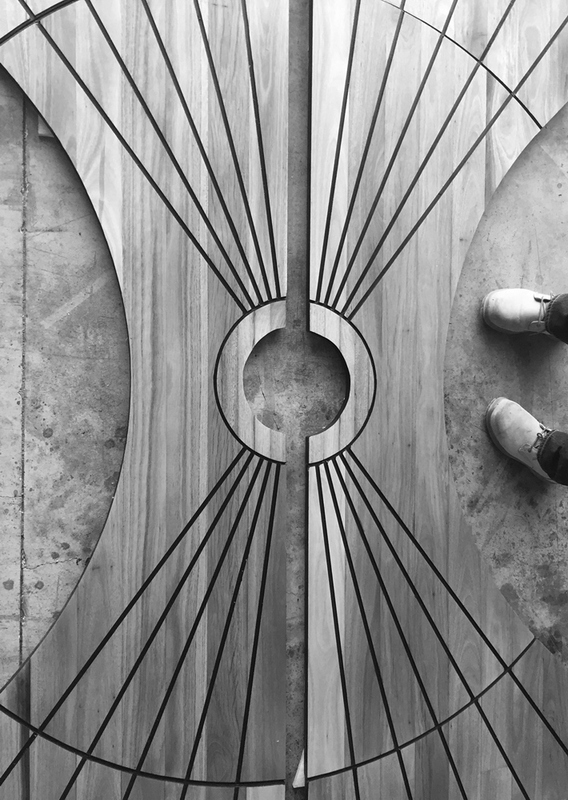 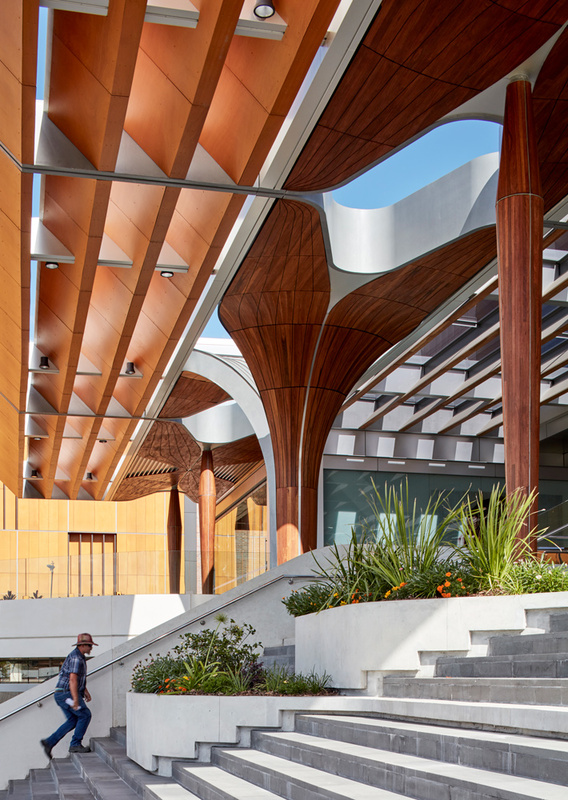 A broad roof canopy filters the abundant sunlight afforded by the northern orientation and references the city emblem, the Toowoomba violet, in petal like forms that are woven organically into a central timber and steel supporting column. 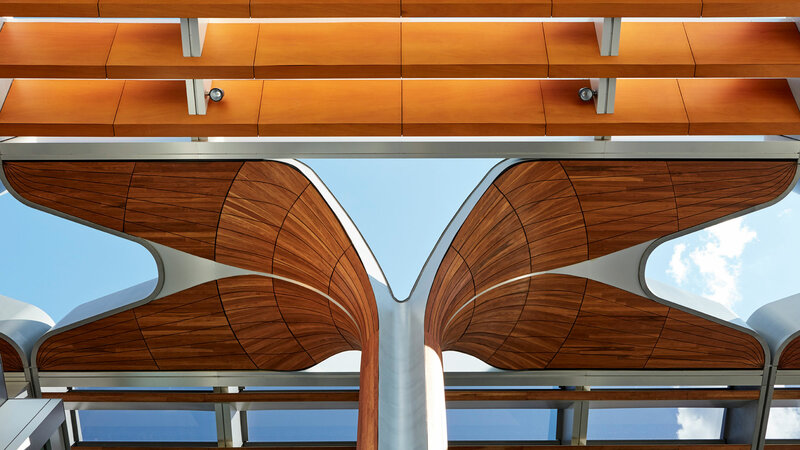 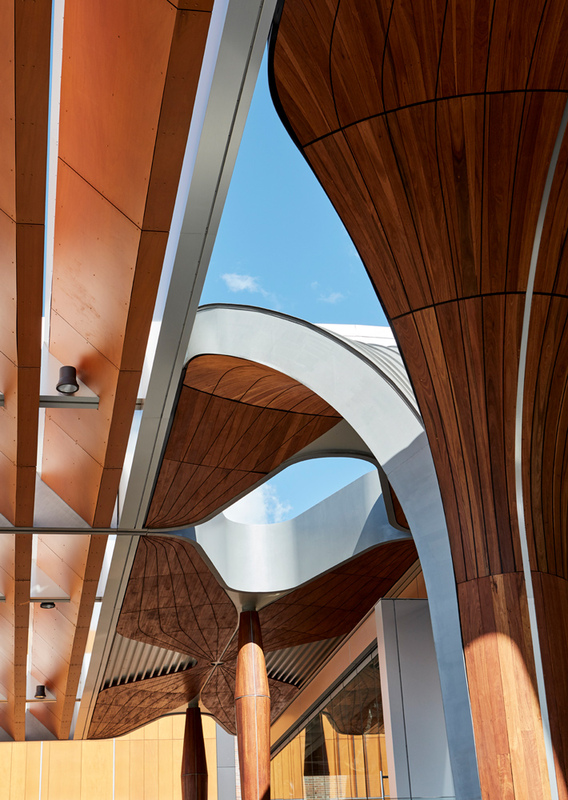 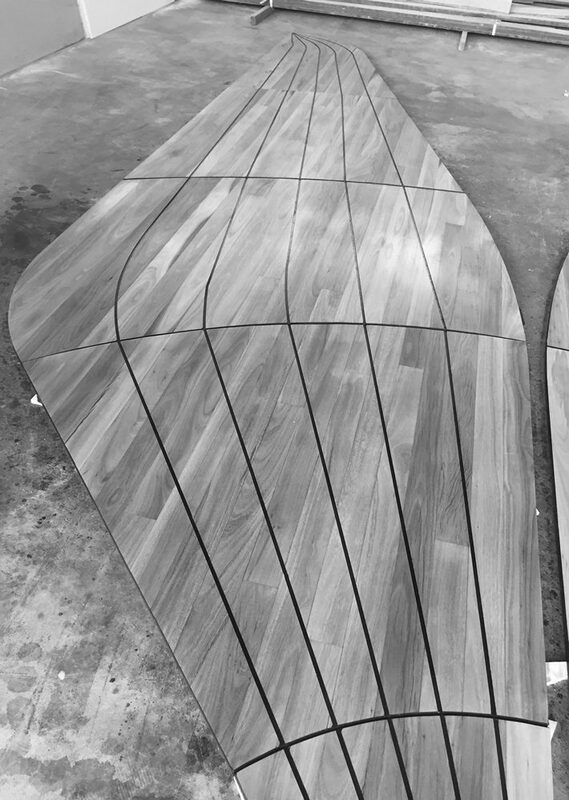 The curved timber ceiling establishes a pattern and textural dialogue with the exterior façade to create a connection between the internal spaces and external skin of the built form.